This body of work from the artist’s estate comprises some 2,057 compositions, including those to be found within more than 100 sketchbooks. The drawings were made in a variety of media: graphite, chalk, charcoal, pastel, watercolour, felt-tip and ballpoint pen. Many of them were done preparatory to her paintings but very few were signed and dated. 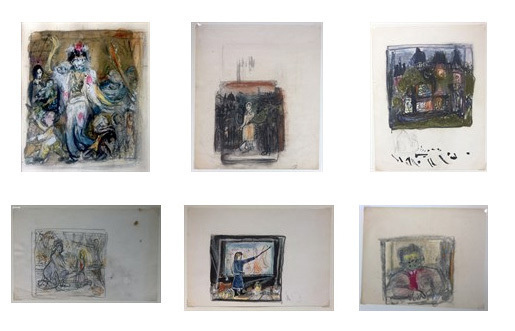 Almost all the drawings from the estate fall within the period after the Second World War when the artist was living in England, where she and her mother arrived in 1939.